My good friend Amalie and I went on another adventure last week and I’m excited to share some of the details today. 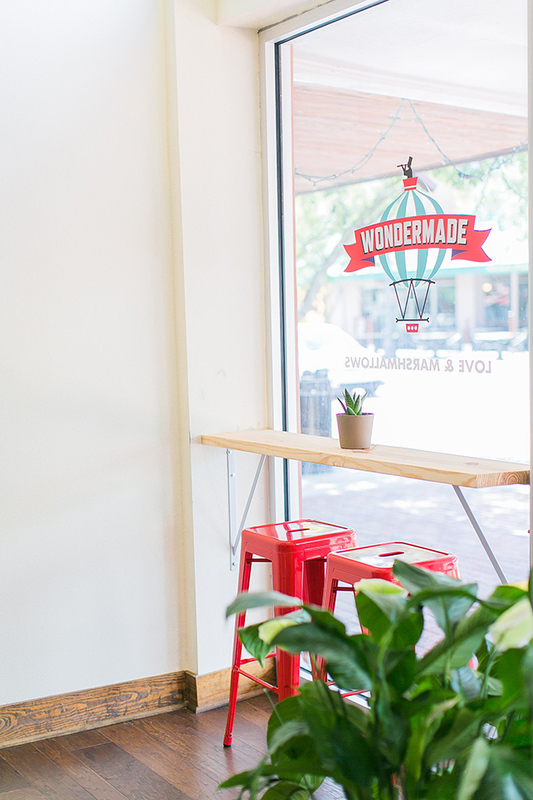 We took a short drive north over to downtown Sanford, Florida to visit Wondermade, home of the delicious handmade marshmallows. A shop that only sells marshmallows? You bet! 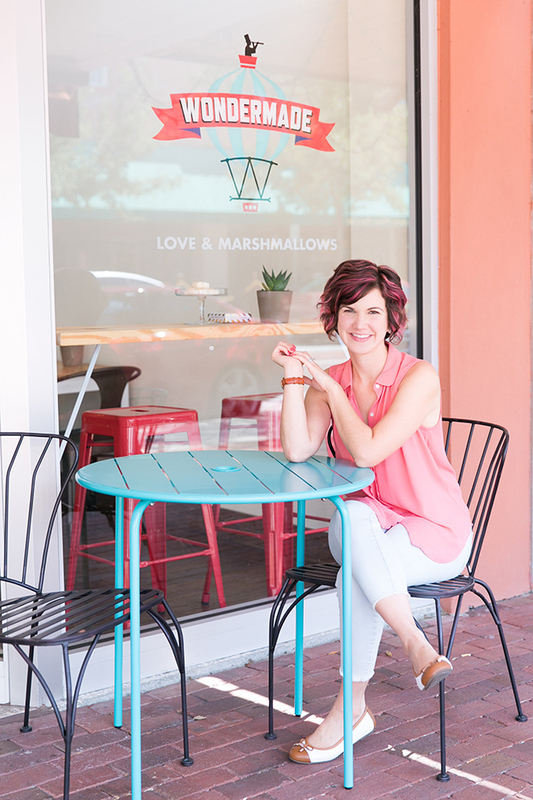 This adorable little shop is on 1st street, right in the the center of downtown historic Sanford. 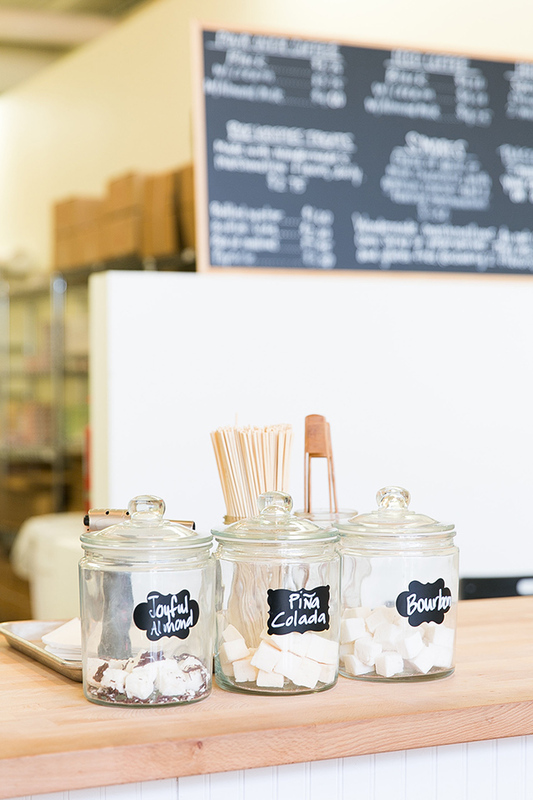 Alaina, Wondermade’s event coordinator and awesome pour-over barista, gave us a tour of the sweet shop. 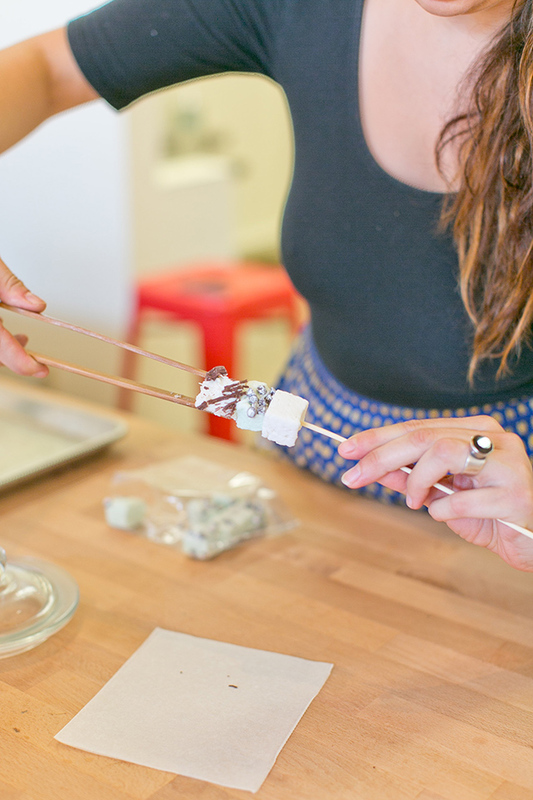 They feature a few flavors of their delicious handmade marshmallows daily and also sell every flavor on the menu in individual boxes. 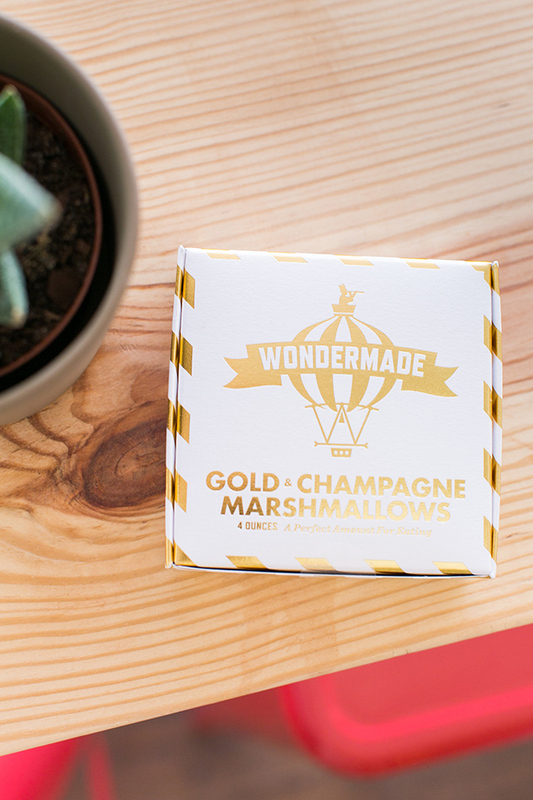 Gold champagne marshmallows? Of course we had to try these! They are just as good (and pretty) as the sound. 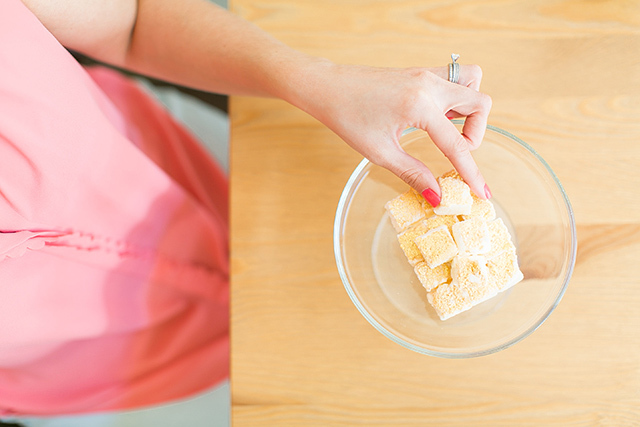 A little bit of bubbly and coated with edible gold leaf makes for some great marshmallows. 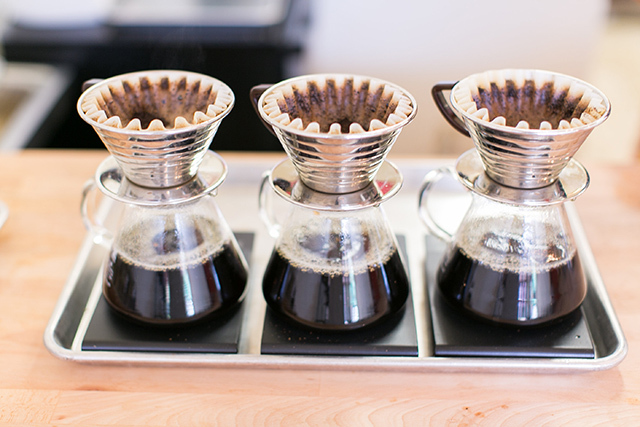 In addition to marshmallows, they also serve pour-overs of Orlando’s favorite coffee, Lineage. 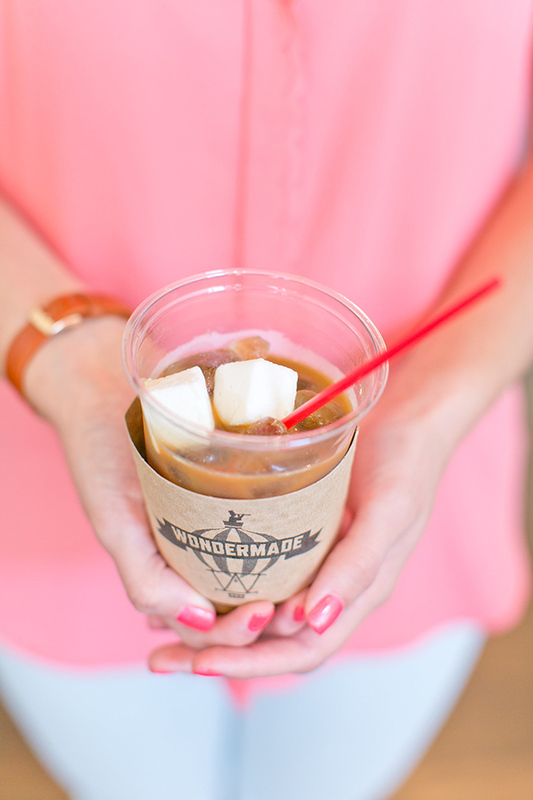 I opted for an iced coffee with almond milk and bourbon marshmallows. So good! I’m craving one right now! 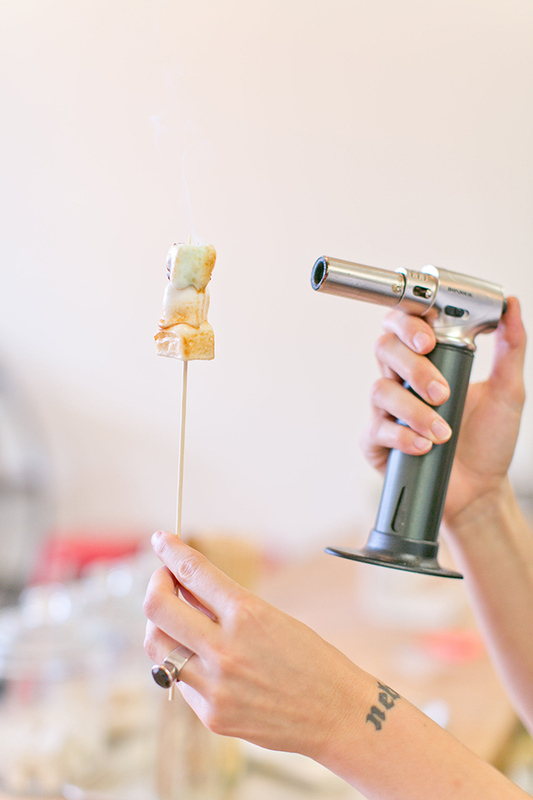 You can even get a skewer of fresh marshmallows toasted right there on the spot. The perfect snack to satisfy your sweet tooth! Visiting Orlando soon? 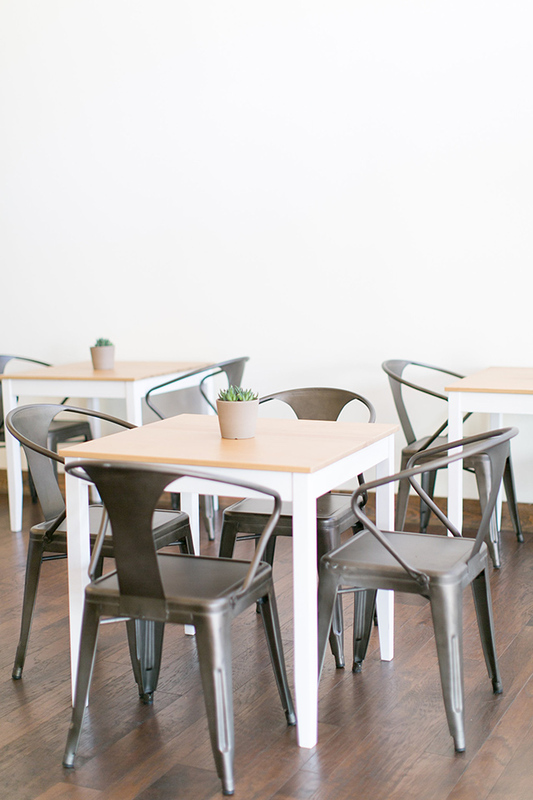 Jump on the highway and take the drive 30 minutes north to downtown Sanford. 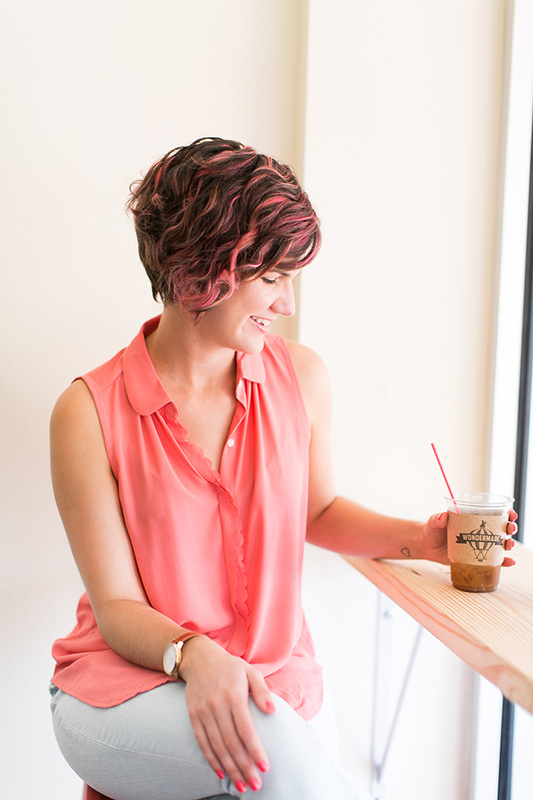 You can also check out some of my other favorite places around town on my Orlando page. If you’re local to Orlando, please comment below and share where you think I should visit next! I’m always looking to learn about your favorite spots in the city beautiful. This looks like the perfect, perfect spot!